On Monday December 7, 2015 I decided to take part in the yoga class offered at the Jupiter Lighthouse on Monday evenings. This was not my first time taking yoga but I am no yoga guru. I was so impressed with the amount of cars in the parking lot when I pulled up. 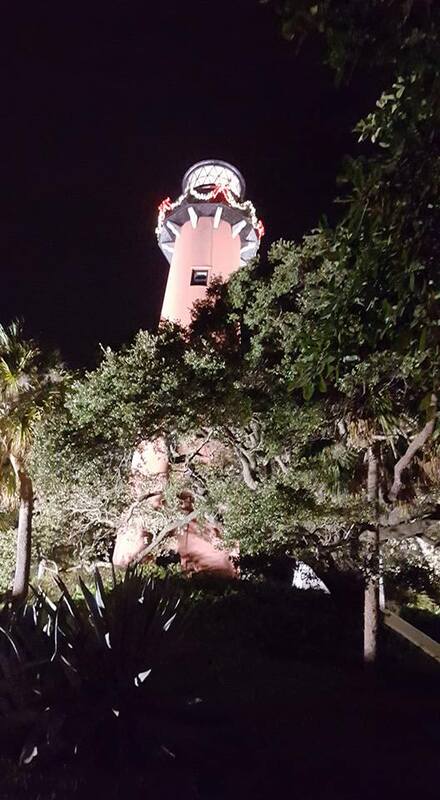 As I waited for a friend to arrive I chatted with the lady who works for The Jupiter Lighthouse at the gate. She informed me because of the cool weather only about half the amount of people we there on this particular evening. So generally there are around a hundred participants! 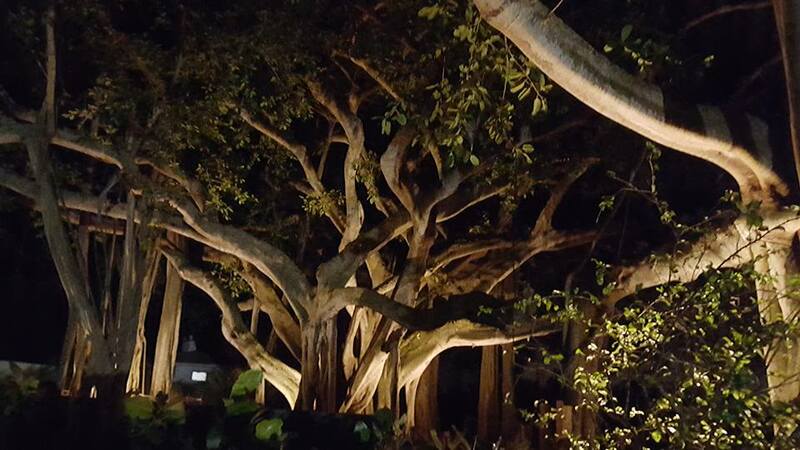 My friend arrived and we quickly walked up the path to the banyan tree right at the base of the lighthouse. We were a little late so the class had started. We quietly rolled our mats out and joined in the poses and breathing exercises. The atmosphere was spectacular! Under the huge banyan and on the water we enjoyed our downward dog poses. It was so relaxing and an awesome workout. The sessions are free but the instructor does take donations. This class can suit the first timer or a yoga guru.